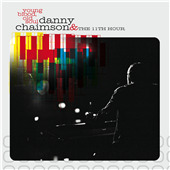 Share Danny Chaimson & The 11th Hour's EPK! "The disc is an uber-catchy blast of laid-back, pop-based soul-funk, as if Billy Joel's been staying up late listening to Curtis Mayfield." The album’s sound is anchored in its deep grooves and rhythm, but Chaimson’s subject matter vividly captures the zeitgeist of the present moment. His songs dig through the debris of the American Dream, finding dysfunction, anxiety and melancholy, but also a gritty determination and an unquenchable urge to keep moving, no matter what. Danny banged out “L.A., L.A.” in 35 minutes, so that he’d have something to perform at an audition for a big-name producer who was in the process of putting together a manufactured group. It wasn’t the sort of sentiment likely to charm the producer, who might as well have been one of the song’s targets; needless to say, he didn’t get called back. The Chicago native was a piano prodigy at age 4, poring over the music of jazz greats Oscar Peterson and Bill Evans. Though he started writing his own music at the age of 10 and started his first band at 12, Danny was equally passionate about playing basketball. In fact, he describes himself during adolescence as “an athlete who played music.” (That hasn’t totally changed; his Facebook page lists the band’s interests as “playin’ music and shootin’ hoops.”) Nonetheless, after graduating from the University of Wisconsin, Danny headed to L.A. to pursue a musical career, establishing himself as an up-and-coming player. He toured as a sideman with acts like O.A.R., Mike Doughty, Shwayze and Jem—none of whom had much, if anything, to do with his own stylistic or thematic approach, although each situation broadened his experience. 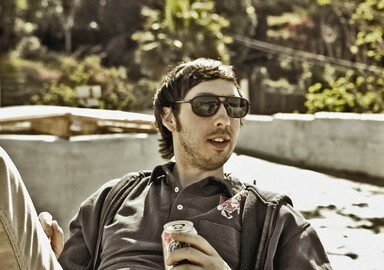 He was also a member of the ambitious and highly respected indie-rock band The Southland. But it wasn’t until five years into his L.A. run that he began singing his own songs.